“They call it the ‘Bondi bubble'”, my AirBnB host explained. “Everything you need is right here. 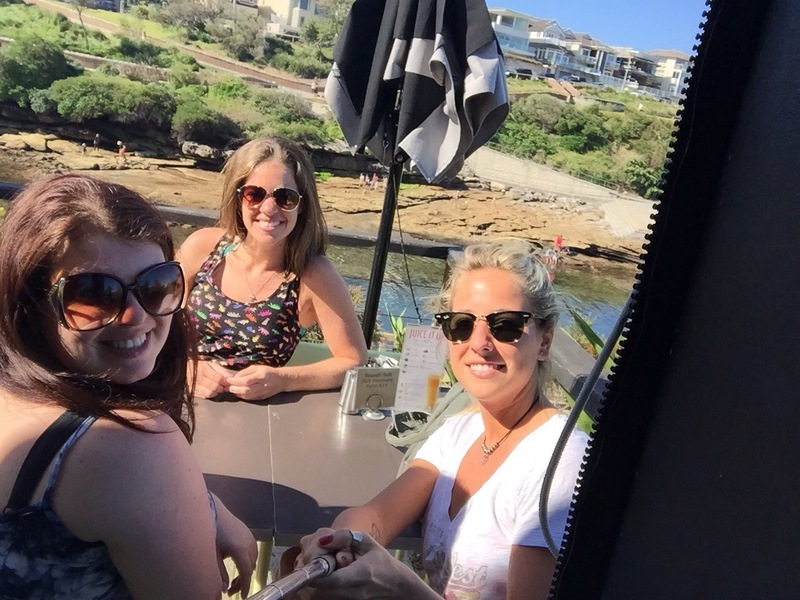 There are people who never leave.” As I continue my neighborhood exploration, I opted to spend a few nights living in Bondi because, why not? Bondi is a world famous destination for surfers and travelers alike, always on the must-see list for any visit to Sydney. While it’s unlikely I’ll choose to settle in Bondi, a handful of days in the beach community is exactly what I had in mind. Bondi has a few unique characteristics that make up the “bubble”, and are rather entertaining to witness. Here’s what I’ve learned so far. Hate shoes? Bondi is your place! 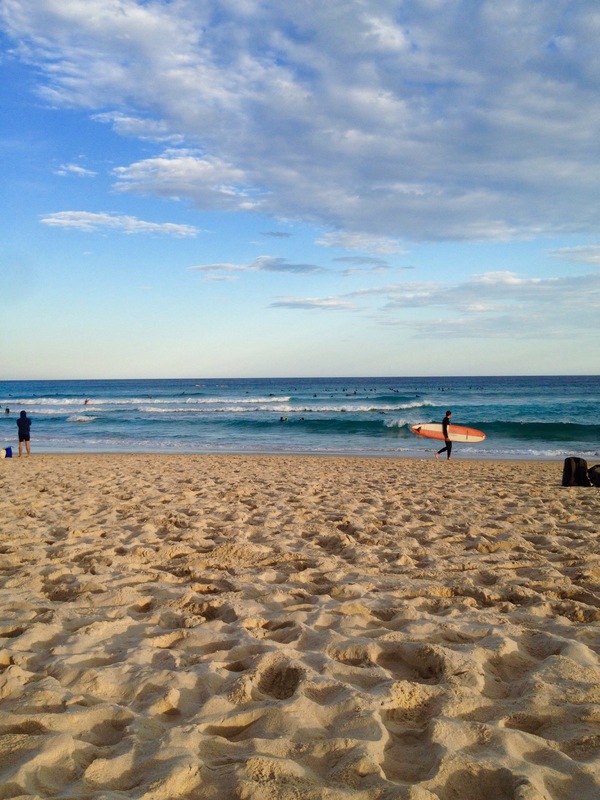 Life in Bondi Beach is a barefoot-lover’s haven. It’s normal, rather expected, for beach-goers to walk the beaches barefoot, but here in Bondi, the restrictions of shoes are too much for some who opt to walk around barefoot. I will venture to say it’s likely they’re heading to or from the beach, but I’ve noticed these lack of shoe-wearing locals all over town. The shopping mecca of Bondi Junction. A quick ride on the bus takes you directly to Bondi Junction, the bus and train terminal to access all of Sydney as well as home to the gigantic shopping mall, Westfield. This mall is at least 6 stories tall and offers everything from high end shops to bookstores, restaurants and groceries. The mall also allows shoppers to connect to their wifi for free (a big deal around here – see my last post for more on the topic). Between grocery shopping, searching for a popular restaurant on Taco Tuesday, purchasing another SIM card after mine was lost in the mail, and restocking the toiletry essentials, I have been to the Junction daily. It really does seem to have everything. The beach is king all day every day. With inviting turquoise waters and a regular collection of surfers to watch, Bondi beach is filled with people daily. And guess what? Most of these people are tan and fit. I guess if you’re going to spend every day at the beach, you might as well look good doing it. I’m still working on that tan though…while wearing SPF 50. Running trail included! The beach may be the perfect spot for tanning, but where can you work on your fitness? On the built in running path called the Bondi to Coogee coastal walk, of course! You’ll have to dodge tourists but the trail is paved and the view is stunning. It’s not the easiest run with hills, stairs, twists and turns, but a few runs a week will have you whipped into shape. Happy hours on the weekends??! Living in New Orleans, I maintained a list of restaurants with killer happy hours to check out. However, my life in education rarely granted me the time to make the happy hours. If only restaurants offered their happy hours over the weekend. Well, here in Bondi, they do! There have been several occasions this week when I’ve searched for a happy hour only to learn it wasn’t being offered until Friday, Saturday and Sunday. I wasn’t thrilled about waiting but I could get behind the idea of weekend happy hours!